El sociólogo Zygmunt Bauman acuñó, entre otros, el término de modernidad líquida. Suele ser complejo definir lo que hacemos, y más encuadrarlo en etiquetas, pero quiero pensar que al sumar este concepto al de ciencia en abierto, #MeToo, heterodoxia, descentralización, rigor, feminismo, experimentación, innovación, interdisciplinaridad, y tantos otros términos enarbolados en nuestro decálogo, y tantas realidades que se suceden en bucle en la última década, acabaré por encontrar un palabro que defina lo que hago, y lo que hago en este colectivo. Tal vez Bauman ya nos lo dio, y al fin y al cabo sólo hacemos ciencia líquida que intenta colarse por las grietas de la Academia para procurar romper corsés, y sacarnos de la burbuja científica (que cualquier día nos va a explotar en la cara) y el desencanto de la investigación (que nos hace huir hacia otros mundos), en la línea en que Joan Santacana nos comenta en su artículo reciente del Cuaderno Digital de Cultura. Si esa ciencia líquida la ponemos bajo los pies de las mujeres, que el día de hoy nos reivindicamos en Ciencia, en vez de volverse transparente como el agua nos acaba, muchas veces, embarrando en desigualdades y conduciendo a techos de cristal que hay que seguir rompiendo. ¿Qué hago aquí? Al final sólo procurar divertirme en lo diferente y seguir intentando no ponerme el corsé, que aprieta (y te puede llevar a precipitarte por el acantilado). NW Iberia rarely attracted the attention of the classical authors, who transmitted a caricature-like depiction of the land and its inhabitants. Some of the episodes related by these authors were fragmented records of military campaigns carried out by Roman generals during the 2nd and 1st centuries BC, when the region was effectively annexed by Rome. For centuries, different scholars tried to reconstruct these events, but the lack of archaeological data led to fed the articulation of circular debates and outdated narratives about the conquest. Roman military archaeology has been quite a late development in Iberia (modern-day Spain and Portugal) and the research has been mainly focused on the sudy of Asturian and Cantabrian areas, where the last war episodes took place in Augustan times. This way, wide areas in NW Iberia (such as Galicia or Northern Portugal) remained out of the scientific spotlight, silenced by the ancient sources and forgotten by modern scholars. 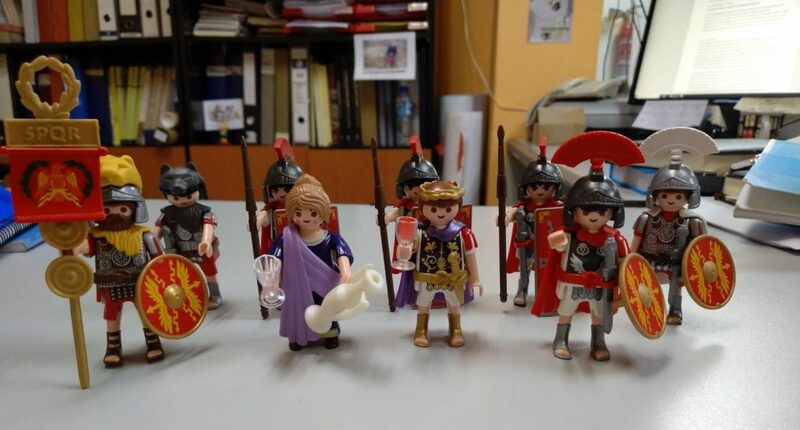 One of main the aims of romanarmy.eu as a collective is to develop new archaeological narratives to help reconstruct the ancient story of NW Iberia as a whole. To understand the conquest and integration of this area into the Roman imperial structure can also help to better know the policies and strategies later developed by Rome across Europe. In this vein, the archaeological intervention in the Roman camp of Penedo dos Lobos (Manzaneda, Galicia, Spain) has made it possible to discover the oldest Roman military presence documented so far in the territory of present-day Galicia, which could be chronologically related to the Cantabrian-Asturian Wars. In the course of an archaeological survey campaign carried out by the Romanarmy.eu collective and directed by João Fonte (Institute of Heritage Sciences –Incipit-, CSIC), materials linked with the Roman army were found, including shoenails coming from the famous Roman military sandals (caligae). 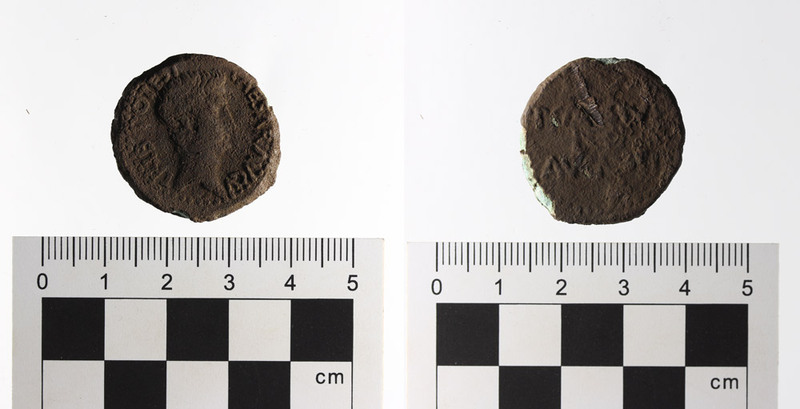 But the most striking pieces of evidence recovered were two bronze coins minted by Publius Carisius (who was Augustus’ legate during the Cantabrian-Asturian Wars) in Emerita Augusta (present-day Mérida, Extremadura) between 25 and 22 BC to pay the legionnaires who fought in the above mentioned campaigns. These findings imply that the construction of the Roman camp of Penedo dos Lobos took place in a chronological horizon prior to the change of our era, and that it is possibly contemporary to the Cantabrian-Asturian Wars, after which the last independent territories in Iberia were annexed by Rome. This is the oldest Roman military presence documented so far in the territory of present-day Galicia, and it is a finding of great historical significance for the understanding of the first stages of the Romanisation process in the area. Until now, many specialists considered that the Galician region had been on the fringe of the conflict. 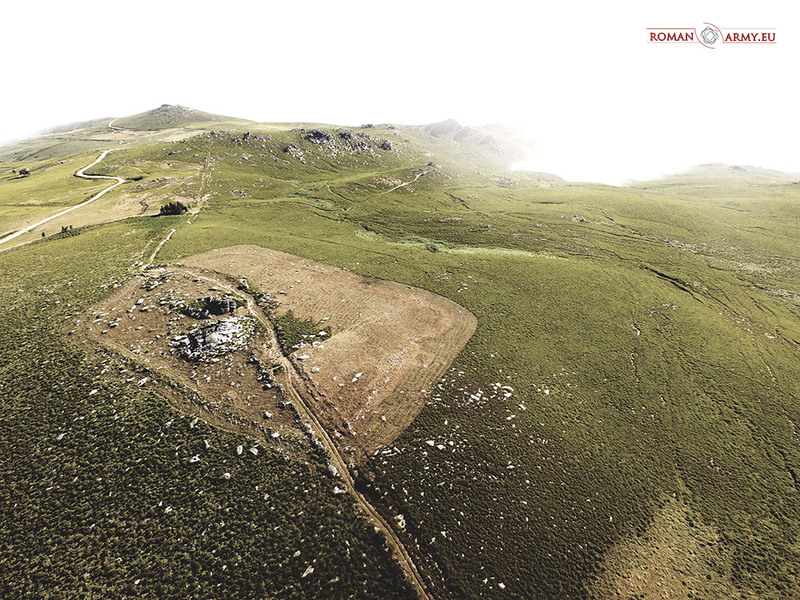 Although it is not possible at this time to determine the actual mission of the military contingent of Penedo dos Lobos, these findings will redefine what was known about this period and will help to contextualise the Roman military presence in this territory. According to what has been discovered by the romanarmy.eu collective and other research teams in recent years, this presence is broader and more diverse than what has been understood until now. 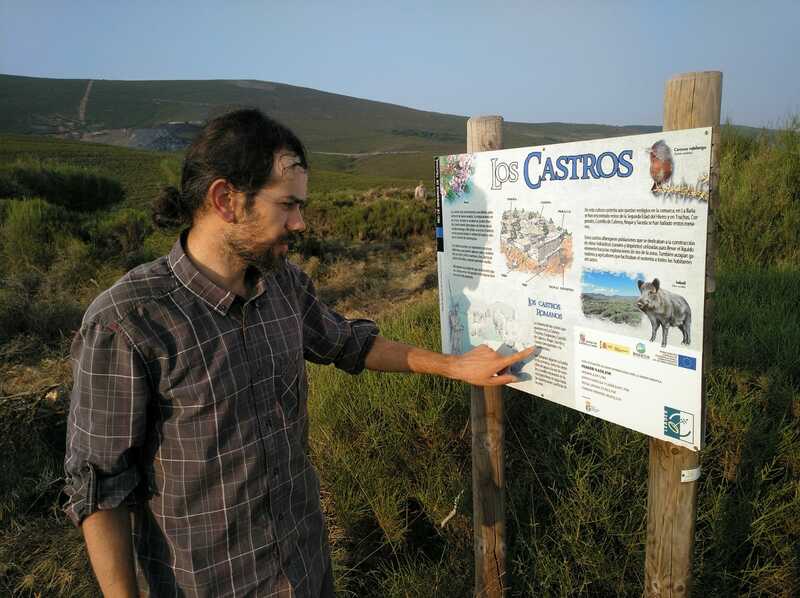 The archaeological campaign ended last Saturday and is promoted by the Institute of Heritage Sciences (Incipit) of the CSIC, the Town Council of Manzaneda, and Sincrisis Research Group (Department of History, University of Santiago de Compostela). Penedo dos Lobos Roman camp is located close to the ski resort of Cabeza de Manzaneda, and was traditionally a grazing area with low vegetation which made the identification of archaeological structures difficult. Its size (2.34 hectares) implies that it was a small camp with capacity to accommodate up to 1000 soldiers. Archaeologists noted the “excellent” state of preservation of the defensive structures. This way, Penedo dos Lobos still shows the canonical four gates which define the Roman military enclosures, and almost the entire perimeter of the defensive rampart is still in place. Quite unusually, thede defences were built in stone. Penedo dos Lobos was occupied for a short period of time. However, the detailed analysis of the evidence already gathered makes the archaeologist believe that it the site might not correspond to a marching camp (built to the soldiers to rest for one or two days), but to a seasonal military installation, which would serve for a longer period of time (week or even a month) to fulfil an specific mission that is still unknown. 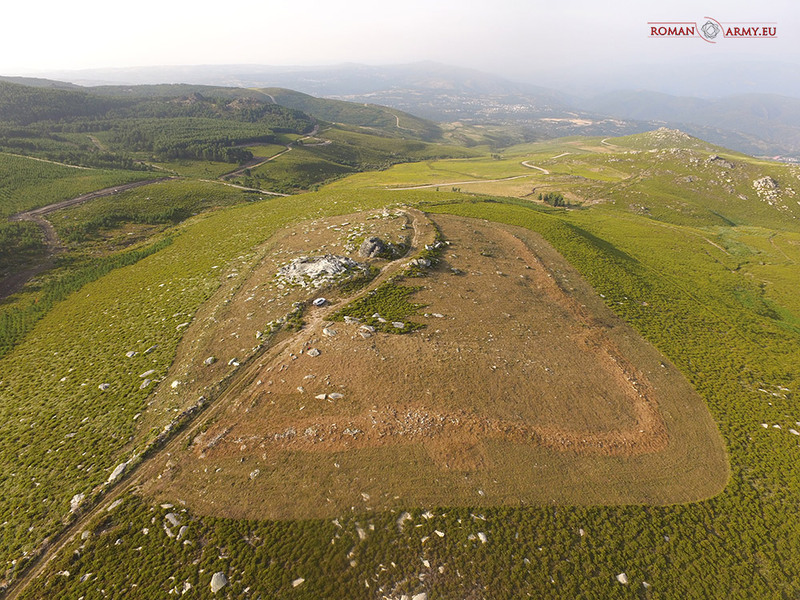 The camp was discovered by a local citizen, Rubén F. Lorenzo Pérez, who contacted romanarmy.eu collective mentioning the existence of an enclosure of strange morphology on a mountain summit. 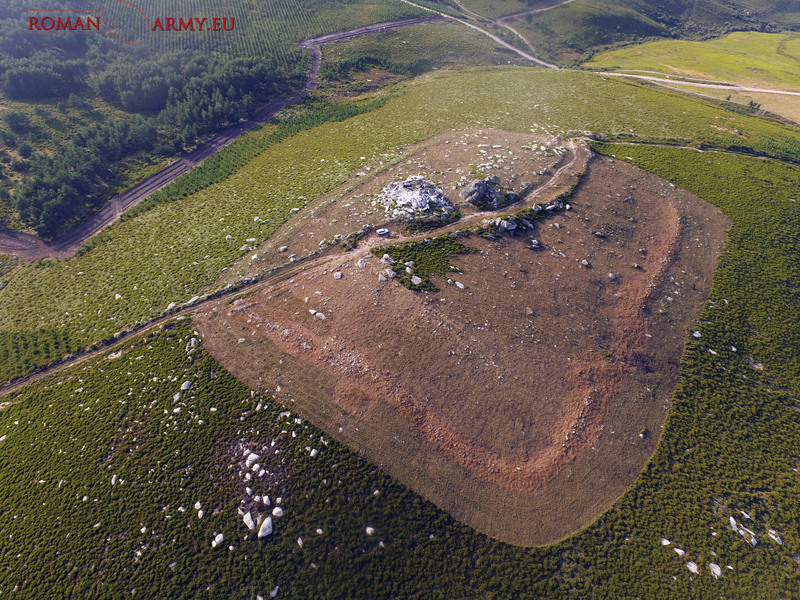 The existence of this Roman camp was officially notified to the Directorate General of Heritage of the Galician Regional Government in February 2017 romanarmy.eu collective. Despite the importance of this archaeological site for the history of Galicia, the land is currently affected by a reforestation plan that will irreversibly damage it. The archaeological teams was informed about this plan while on field. 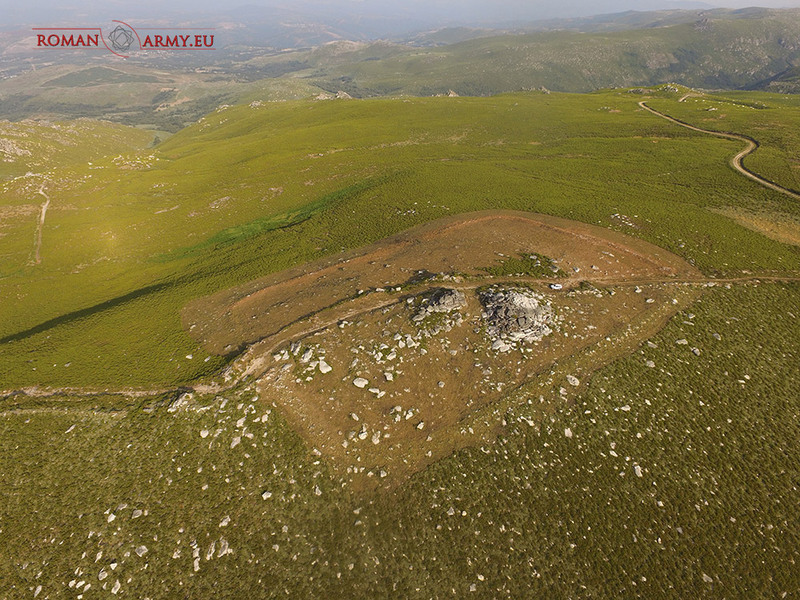 The archaeological intervention in the Penedo dos Lobos was daily broadcasted through the Internet by the romanarmy.eu collective, using live videos and innovative scientific communication formats. Only the Facebook profile of the group reached more than 65,000 people throughout the week of archaeological intervention. Not only the public could follow the evolution of the intervention day by day, but also guided tours with a large number of visitors of the site were conducted by the archaeological team. Rematamos a campaña de Penedo dos Lobos e mañá, martes 28 de agosto de 2018, coñeceredes os relevantes resultados desta campaña de prospección arqueolóxica. Pero hoxe queremos presentarvos unhas fotografías aéreas que revelan o magnífico estado de conservación desta estrutura defensiva e habitacional temporal do exército romano. Queremos agradecer á Brigada do Concello de Manzaneda o seu entusiasta e ilusionado traballo para facer posible estas fotografías que van a se converter en iconas e referentes deste sitio arqueolóxico. While João explores the Roman conquest of Dacia, Rebeca digs early modern age fortifications in Northern Portugal, and Jesús and Jose investigate the hillfort of Cerro Castarreño in Olmillos de Sasamón, our colleagues David González Álvarez y Valentín Álvarez Martínez are in the field exploring in the mountains of Babia (León), together with Jorge Canosa Betés and some Archaeology students from the Complutense University of Madrid and Durham University (United Kingdom)..